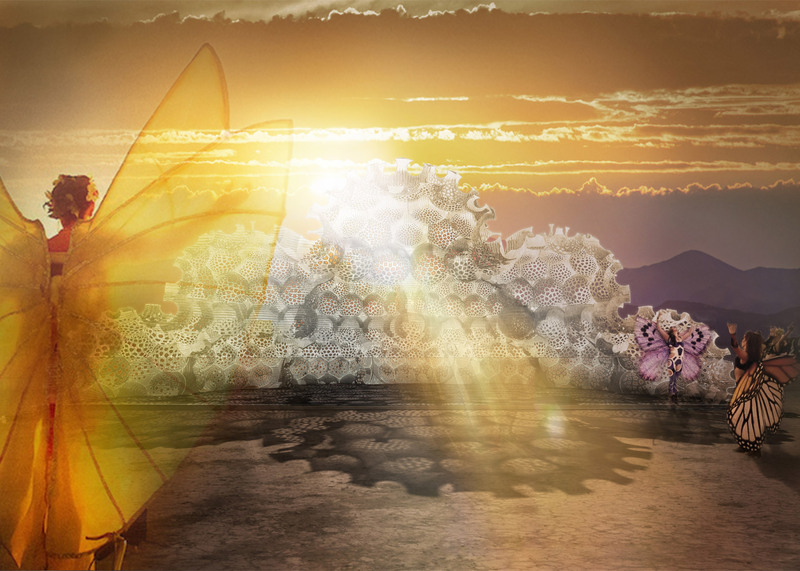 Graduate shows 2016: University of Westminster graduate Tia Kharrat has designed an architectural structure based on the eggs of a rare butterfly species (+ slideshow). 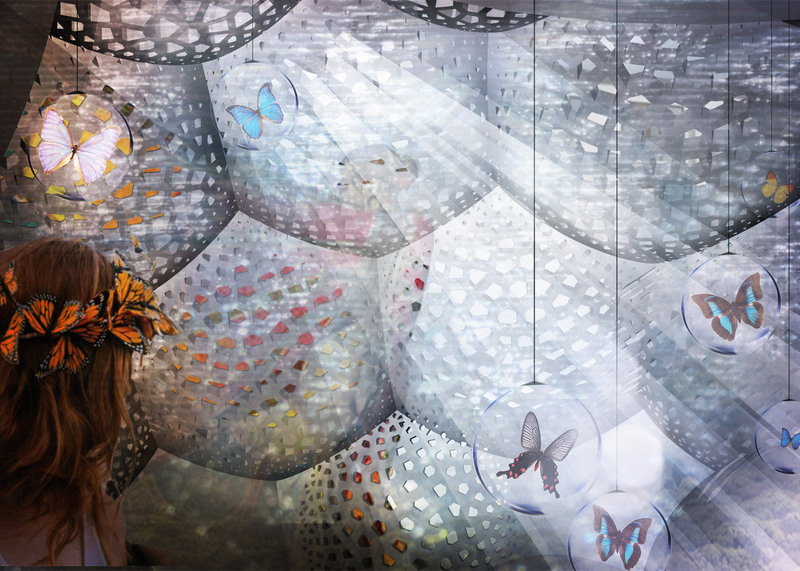 Kharrat developed the project Metamorphosis: Inception for her masters degree in architecture at the London university. 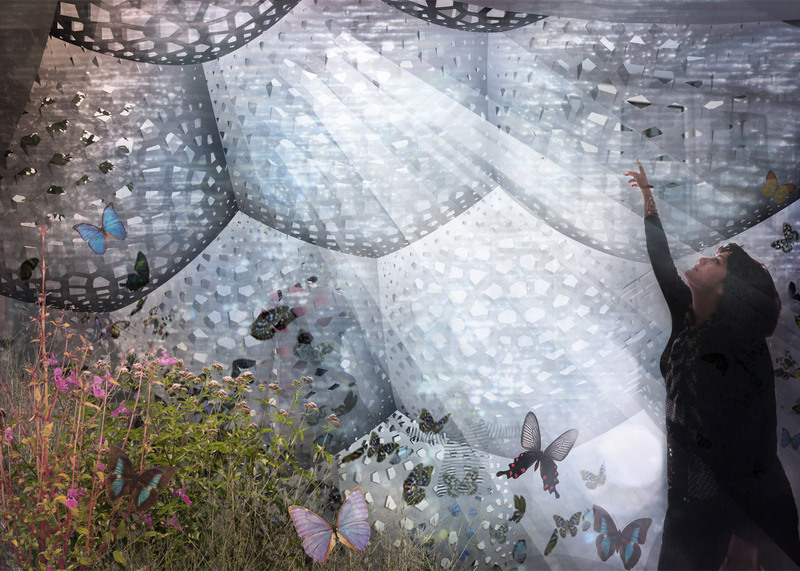 Kharrat initially designed the structure to house a butterfly enclosure, although she later explored other uses. The design takes its cues from the geometry of the eggs of the White Royal, an endangered species of Singaporean butterfly. The proposed 3D-printed structure is formed from concave, domed hexagonal panels, which Kharrat likens to the form of an inverted football. These panels are perforated to allow light to filter into the structure from all angles, creating a suitable habitat for butterflies. 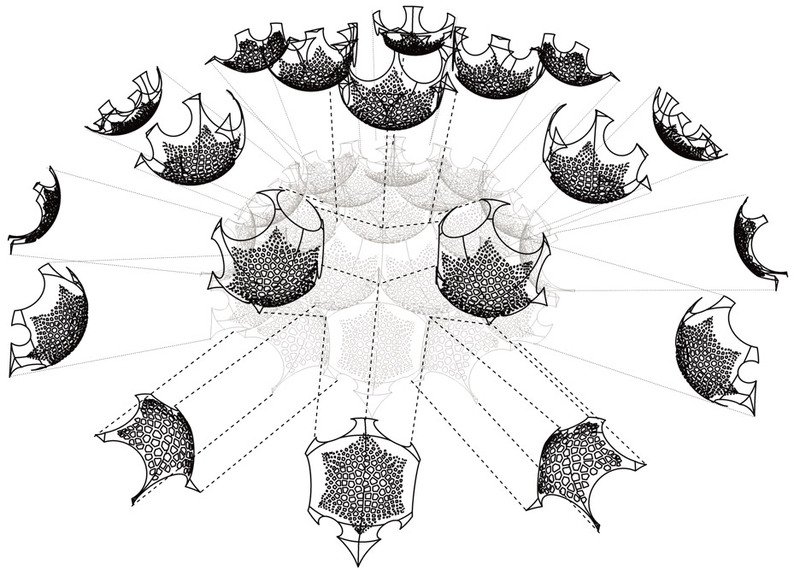 "Research on the spatial system and qualities of the White Royal butterfly egg underpins the design of a filigree 3D-printed sculptural installation," explained Kharrat. "Geometry can be found on the smallest of scales, as is proven by the beautiful work of the butterfly in creating her eggs," she added. 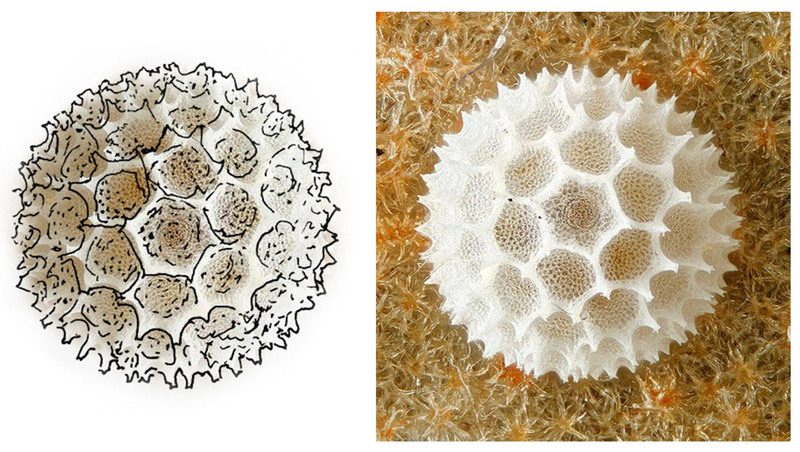 "This kind of intricate fractal geometry is transfixing when it happens in nature; it can be described as a never-ending pattern on different scales." Kharrat describes it as "an ethereal space made of translucent materials, filled with dappled light where people can come for contemplation and perhaps experience the inception of their own personal metamorphosis"
Kharrat believes that applying familiar forms and structures from nature to construction could have a positive psychological impact on its inhabitants. "Nature has inspired elegant solutions in fields such as engineering and medicine," she said. "People are subconsciously familiar with naturally occurring patterns, so are inherently more relaxed when surrounded by them." 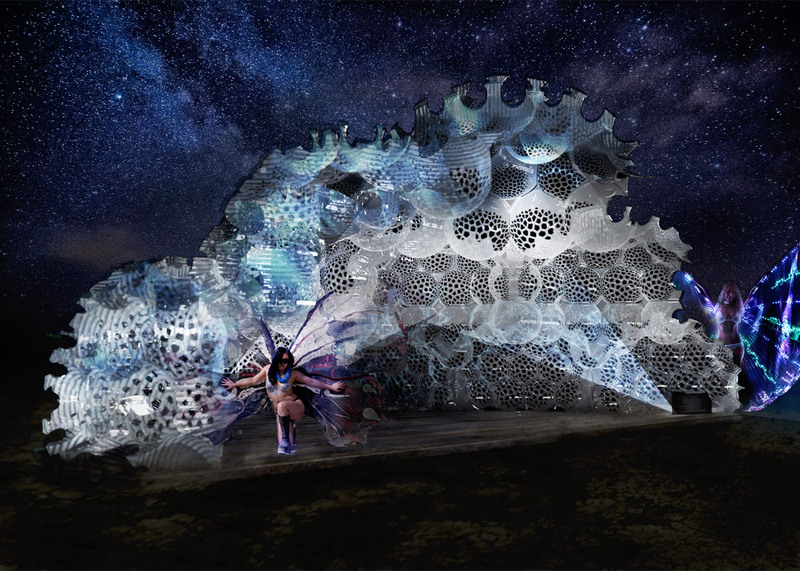 Her proposal is among a growing number of applications of biometric research in architecture, design and engineering including a robotically woven carbon-fibre pavilion based on beetles created by a team from the University of Stuttgart for the V&A museum, and an upholstery technique developed by Dutch designer Lilian van Daal from the structure of plant cells. Kharrat particularly wanted to raise awareness of the dwindling numbers of White Royal butteries in the world and to push for conservation. 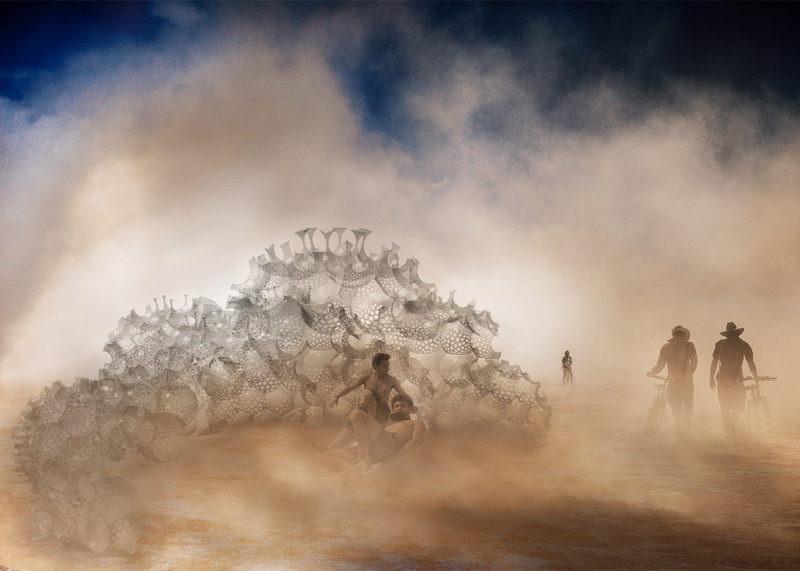 Renderings show the structure installed at Burning Man, an annual festival in the Nevada desert that University of Westminster students have previously contributed structures to. "The link between butteries and humans in our ecosystem is one that is vital, and should be conserved and celebrated," said Kharrat. "Imagine an ethereal space made of translucent materials, filled with dappled light where people can come for contemplation and perhaps experience the inception of their own personal metamorphosis." Kharrat completed the project as part of Design Studio Ten, a model-making focused unit led by architects Arthur Mamou-Mani and Toby Burgess. 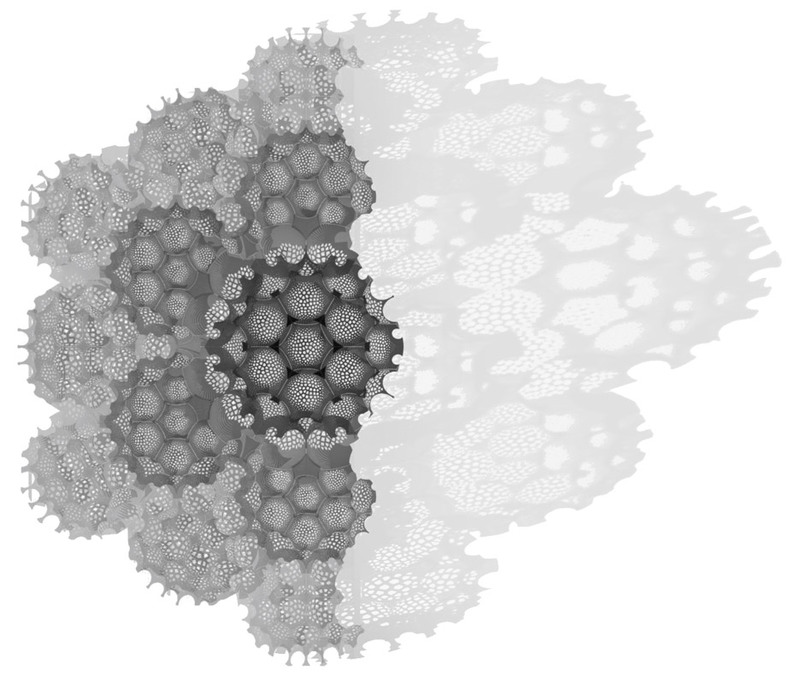 It was presented earlier this month as part of the University of Westminster graduate show. Other projects from this year's architecture graduates include a Socialist factory devised by Bartlett graduate Joanne Chen on William Morris' teachings and a proposal by Royal College of Art graduate Kit Stiby Harris to relocate the Parthenon to London.